Nestled on the beach, this Ses Salines hotel is within 1 mi (2 km) of Centro de Visitantes Ses Salines, cala Galiota, and Centro de Visitantes del Parque Nacional de Cabrera. Es Trenc Beach and Es Carbo Beach are also within 6 mi (10 km). 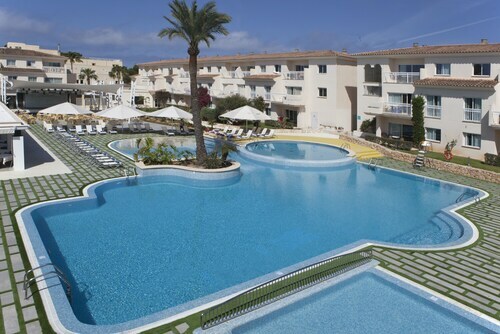 Situated in Ses Salines, this golf hotel is within 1 mi (2 km) of Botanicactus and Poblat Talaiotic Els Antigors. Es Trenc Beach and Centro de Visitantes del Parque Nacional de Cabrera are also within 6 mi (10 km). This family-friendly Ses Salines aparthotel is located near the beach, within a 5-minute walk of Centro de Visitantes Ses Salines and Centro de Visitantes del Parque Nacional de Cabrera. Cala Galiota and Es Carbo Beach are also within 3 mi (5 km). 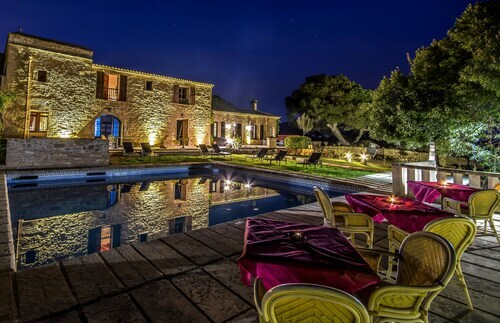 Situated in the suburbs, this romantic country house is 2.1 mi (3.5 km) from Botanicactus and 2.6 mi (4.3 km) from Poblat Talaiotic Els Antigors. Santanyi Outdoor Market and Calo des Moro Beach are also within 6 mi (10 km). 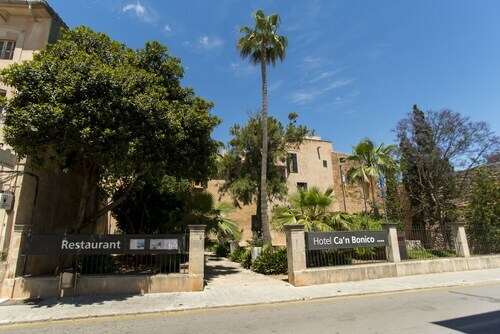 Situated in Ses Salines, this hotel is within a 15-minute walk of cala Galiota, Centro de Visitantes Ses Salines, and Centro de Visitantes del Parque Nacional de Cabrera. Es Trenc Beach and Es Carbo Beach are also within 6 mi (10 km). Situated in the suburbs, this romantic guesthouse is 1.3 mi (2.1 km) from Poblat Talaiotic Els Antigors and 1.5 mi (2.3 km) from Botanicactus. Es Trenc Beach and Artestruz Mallorca are also within 6 mi (10 km). Offering direct access to the beach, this Ses Salines hotel is on the boardwalk and within a 5-minute walk of Centro de Visitantes del Parque Nacional de Cabrera and Centro de Visitantes Ses Salines. Es Carbo Beach and cala Galiota are also within 3 mi (5 km). This family-friendly Ses Salines hotel is within a 15-minute walk of Centro de Visitantes Ses Salines and Centro de Visitantes del Parque Nacional de Cabrera. Cala Galiota and Es Carbo Beach are also within 3 mi (5 km). 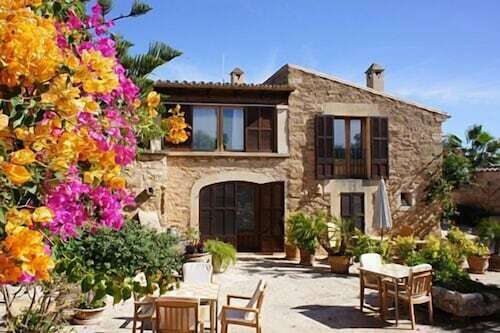 Situated in Ses Salines, this country house is 1.5 mi (2.4 km) from Centro de Visitantes del Parque Nacional de Cabrera and 2.9 mi (4.7 km) from Es Trenc Beach. 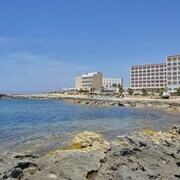 Centro de Visitantes Ses Salines and cala Galiota are also within 3 mi (5 km). 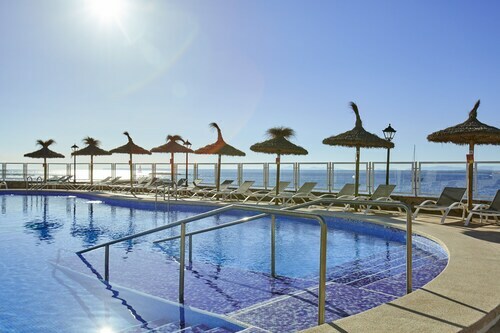 Situated on the waterfront, this hotel is within 1 mi (2 km) of cala Galiota, Centro de Visitantes Ses Salines, and Centro de Visitantes del Parque Nacional de Cabrera. Es Trenc Beach and Es Carbo Beach are also within 6 mi (10 km). Offering direct access to the beach, this Ses Salines hotel is 0.9 mi (1.4 km) from Centro de Visitantes Ses Salines and 1.8 mi (2.8 km) from Es Trenc Beach. Cala Galiota and Centro de Visitantes del Parque Nacional de Cabrera are also within 1 mi (2 km). 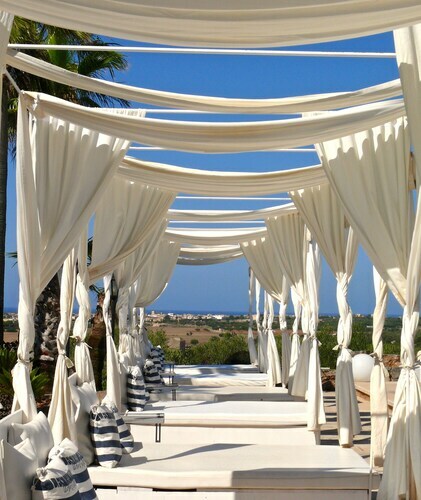 Situated by the sea, this spa hotel is within 1 mi (2 km) of Centro de Visitantes Ses Salines, Centro de Visitantes del Parque Nacional de Cabrera, and cala Galiota. Es Trenc Beach and Es Carbo Beach are also within 6 mi (10 km). 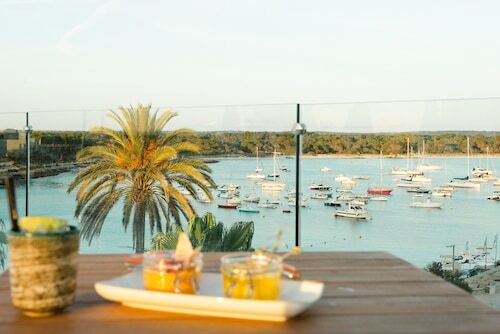 The best part about staying in Ses Salines 4 star hotels is that you’ll often be close to all the local sights and attractions. Whether you’re visiting the area for the first time or you’re back in town for more fun, a 4 star hotel is going to put you right in the heart of all the action. 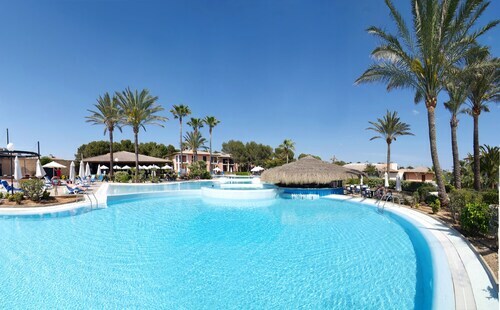 The best four star hotels in Ses Salines will also frequently include access to high-quality fitness centers and pools, so you’ll feel like you’re staying in an exclusive resort rather than a hotel. You won’t have any excuse for not keeping up with your workout routine! If you’re looking for 4 star hotels in Ses Salines, you’ll find the most bang for your buck by booking your stay with Travelocity. Go explore a new city, and know you’re getting the best deal on a great hotel with the Travelocity Price Guarantee.